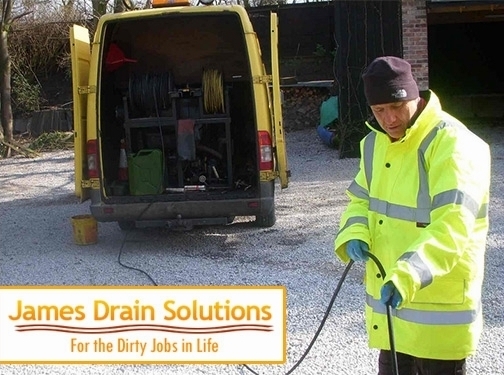 James Drains Solutions are based in Warrington, but cover a wide area of the north west, we are fully qualified drainage engineers able to undertake all aspects of drainage repairs and more. We are able to unblock drains in Bolton which is our furthest call out area, and more locally our Wigan drainage engineers can respond to call outs within an hour. You should contact us immediately if you're suffering from blocked drain at home or business, leaving them can cause a wide range of problems and ultimately prevent the use of the drainage system entirely until resolved. We also offer CCTV Drain Surveys for diagnoses of drainage problems which are also used to inspect the overall condition of the drainage system, these reports are also suitable for home buyers. UK (Warrington, Cheshire) based business - with over 30 years' experience - providing drainage services. Website includes details of services provided, work examples and case studies, associations, blog, geographical areas covered, full contact details.